An award winning table concept created in association with Stemme publication to celebrate the launch of their second issue and its theme - commensality. Commensality means the act of individuals gathering around a table; a place of shared and differing perspectives. The piece is a physical manifestation of the gathering of multiples to create the table itself. The bearing surface is made up by 2565 carbon fibre tubes spaced over a 40 mm grid. 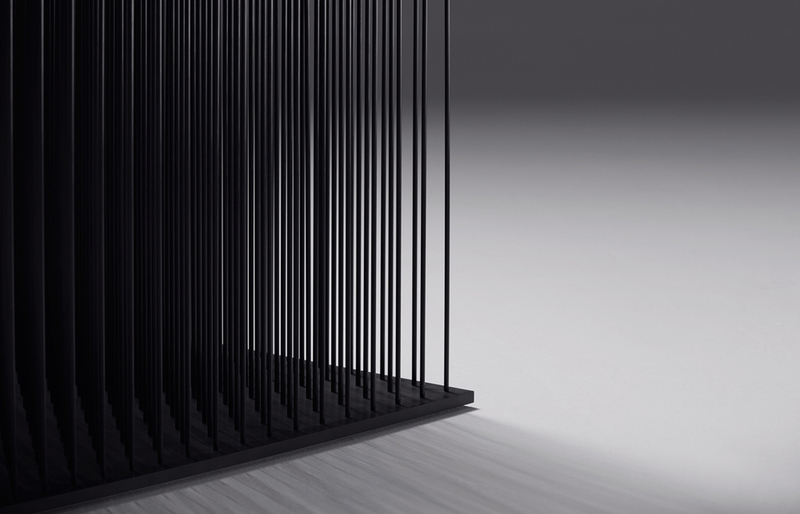 The kinetic qualities of each rod invites viewers to engage with its meaning in a very tactile way.